"Each season we get all hot and heavy about a new weave in our collection. Looking at these Step Weave shirts, can you blame us? Frightfully smart, enviably sophisticated, they're pure cotton and non-iron for the perfect blend of comfort and practicality. And we've made them in just about every fit and color under the sun (I did say we get excited!)" Great service. Great service and attention to details. 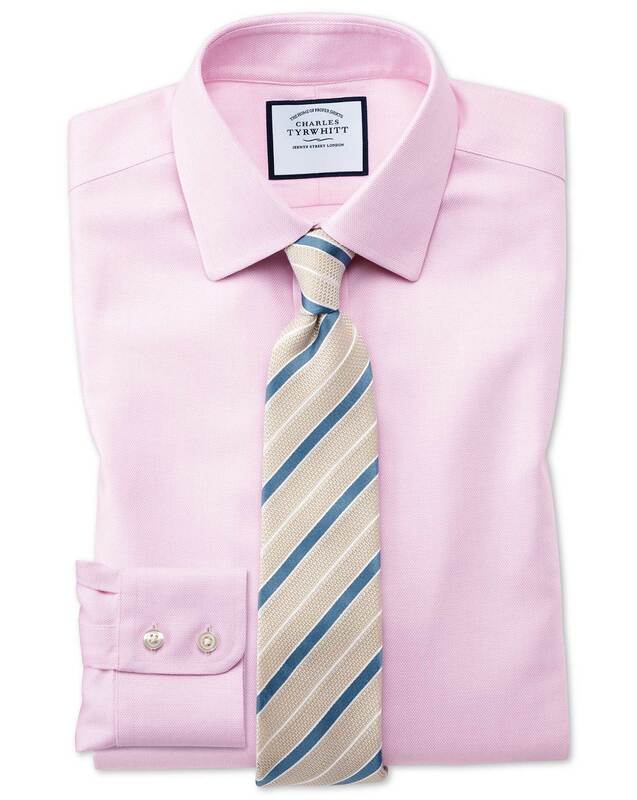 Response from Charles Tyrwhitt: I can see you have chosen a couple of different fits (Slim and Extra Slim) on your orders during the course of 2018, as well as moving from a 17" collar to a 16.5" collar. It's certainly a shame that you have struggled to find the ideal fit and size for you, however, and I can appreciate this has been frustrating. Fortunately, with our no quibble guarantee and Freepost returns, returning items to us for an exchange or refund is a simple process. Fingers crossed that you will soon find the ideal size and fit for you!